In this article, I am introducing you to some cool Android games and applications which are unique and interesting at the same time. There are 7 games/applications that I will be discussing in this article. Read on to know about them. Android market is growing so fast with more and more developers creating applications and games for Android. Some developers/companies think out of the box and create something totally unique. So, in this article, I am going to introduce you to some of the those unique games. So, let's get started. This is a game created by Infinite Dreams. The basic goal of the game is to create some kind of pot and sell it. You may be thinking how this game can be any interesting to play. But believe me, once you start playing this game you will certainly realise how interesting it is. It has been downloaded more than 10 million times from the Play Store. This gives you an idea of the fun that people have with this game. When you open the game, select the create button and you are taken to a screen where you find the potter's wheel and the clay to mold your first pot. If you touch and drag on the clay to the upwards direction then you can increase the height of your pot, if you drag in the downwards direction you can reduce the height of the pot. In the same way you can drag to the left or the right of the pot to make different shapes. The visuals and UX of the game is mind blowing. Once you have created your basic shape you can touch the firing button and the firing process starts. Once you are finished with it you can add designs and color to your pot and in this way create the pot you want. Once you are done with that select the ready button and now you can choose the sell option. You will get coins according to how beautiful your pot is. There are different missions as well. When you go to the main screen, select the inbox button and you get emails from people requesting you to create a specific type of pot for them. Now you can look at the reference they give you and create the pot as similar as the reference. It's a lot of fun to play it. Dr. 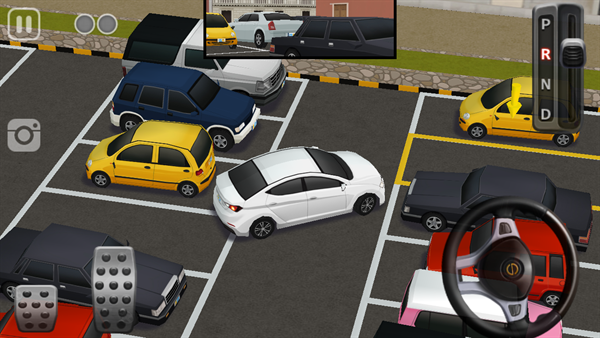 Parking 4 is a game worth playing if you really want to test your driving skills. The basic goal of the game is to drive to the destination without crashing your vehicle to any obstacle or other vehicles and park your vehicle at the yellow rectangle. The higher levels have some challenging paths where you have to use your mind as well as your driving skills to get to the destination. Playing this game will definitely help you in real life as well because the physics used in this game is real. On the screen you are provided with a steering wheel on one side and a brake and an accelerator on the other side. Use these to park your vehicle at the right place. There is also an option to play this game real-time online multiplayer. This game was developed by SUD Inc. There have been many endless racing games out there. But a very few of them actually have a view where you can drive your car in cockpit view through the entire traffic. 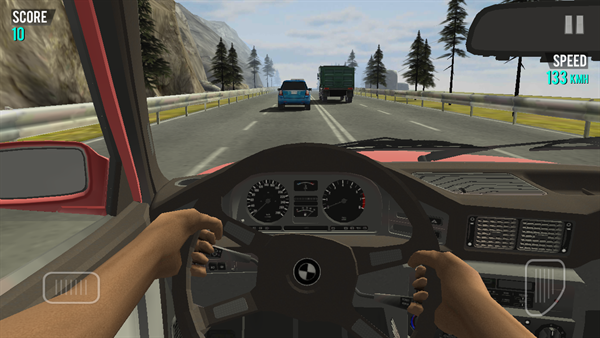 Racing in Car is a 3D game by Fast Free Games which has a realistic graphics and environment. Moreover, when you drive the car you feel like you are actually driving the car because the game has a cockpit view. The game is endless, so you can always compete with your high score. To turn the car you have to tilt your device. There are different locations to choose from and some of them are paid ones. There are also cars to choose from. iGames Entertainment has come up with this amazing free 3D game where you as a train driver are supposed to take the passengers to their destination safely following all the rules in between. This game has a realistic looking terrain which is a fun to watch while driving the train. If you think driving a train is an easy thing, try out this game and test yourself to assess where you stand. When you drive the train you have to keep in mind to follow all the rules of speed as well because if you fail to maintain the speed of your train it will derail. You have to accelerate upwards to move forward and downward to slow down. You can touch the halt button to stop the train. When you need to turn, simply swipe left or right depending on the correct direction. 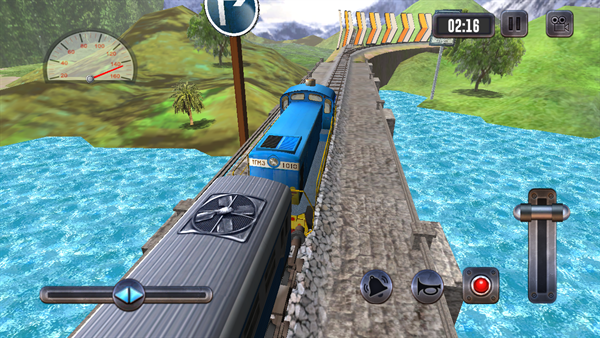 Some of the features of the game include upgrading the train, realistic looking scenes and locations, day and night mode, challenging time limit and many more. It is a perfect game for all ages. Indian Musical Instruments is a simple application where you can hear the sound of different Indian musical instruments. There is nothing more than that in this application. But it can help you identify how an instrument sounds. 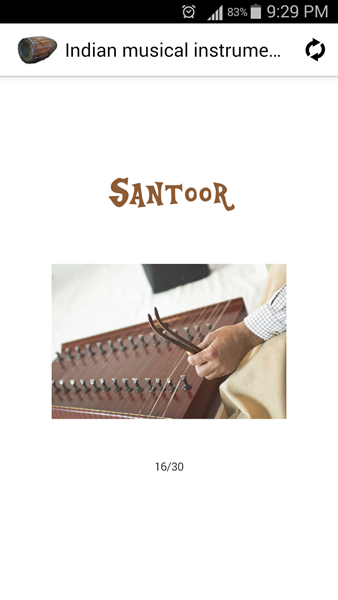 There are in total 30 instruments in this application which include Sitar, Esraj, Tanpura, Sarod, Parai, Shehnai, Santoor, Tabla, Dholak and more. You can also set one of the instruments as your ringtone. This app was developed by SYZYGY SOUNDS AND FRAMES. 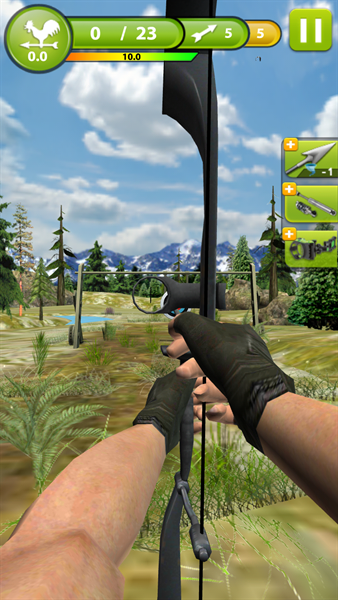 Archery Master 3D is an amazing archery game with high end 3D graphics developed by TerrainDroid. The goal of the game is to shoot your arrow at a target set at different distances according to the level. The nearer you are to the target, the more coins you get. There are 4 locations in this game: Pine Forest, Archery Field, Deadly Desert and Rain Forest. The graphics in this game is really fantastic. The animations are also spot on. There are 20+ elaborate designed archery equipment and more than 100 addictive levels which you can access using the coins. You can also compete with anyone around the world online. You will definitely love the competition in this game. The higher the level, the more interesting and challenging it gets. 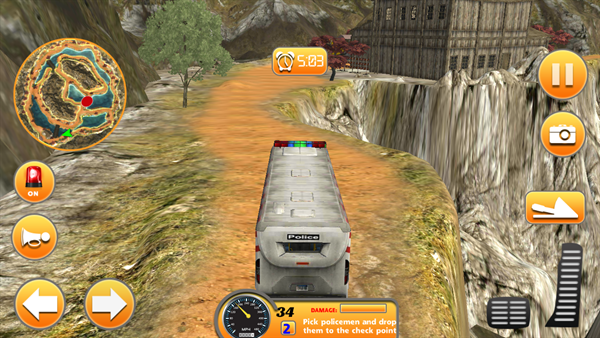 The Game Storm Studios has created this amazing off-road bus simulation game with some interesting environment. The goal of you as the bus driver is to take police officers on duty from a location to different checkpoints. You should be quick as well with the driving because there is a time limit in which the police cops should be present at their stations or control rooms. The best part of this game is the driving on the hills. You have to be careful enough not to fall off the dangerous turns on the hill. Driving a car may be easy but driving a bus through the hills is a really challenging job. You will definitely love the experience of driving in this game. To drive the bus you have to press the accelerator button on the screen. To turn the bus you can press the arrow buttons. The best part I like about the driving is the physics of the bus feels real. These games and apps mentioned above are some cool and unique Android apps. You should definitely download and play these games. I think it is time to stop playing the regular common games and try something new and unique now. So, what are you waiting for? Head over to the Play Store and download these games. Happy gaming! 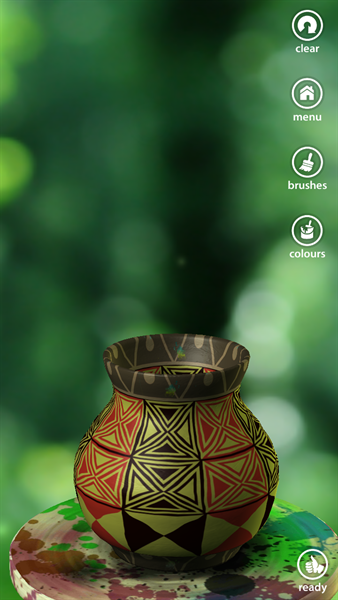 Of those, Pottery has always been my favourite game.I had it on my device even when I had Nokia C6-01 (they had a version for Symbian - not sure whether they continue to offer it). It enhances your creative side. My ten year old son likes the game quite a lot and a great fan. Thanks for the response. I too like pottery a lot. The graphics and the animation make it realistic.